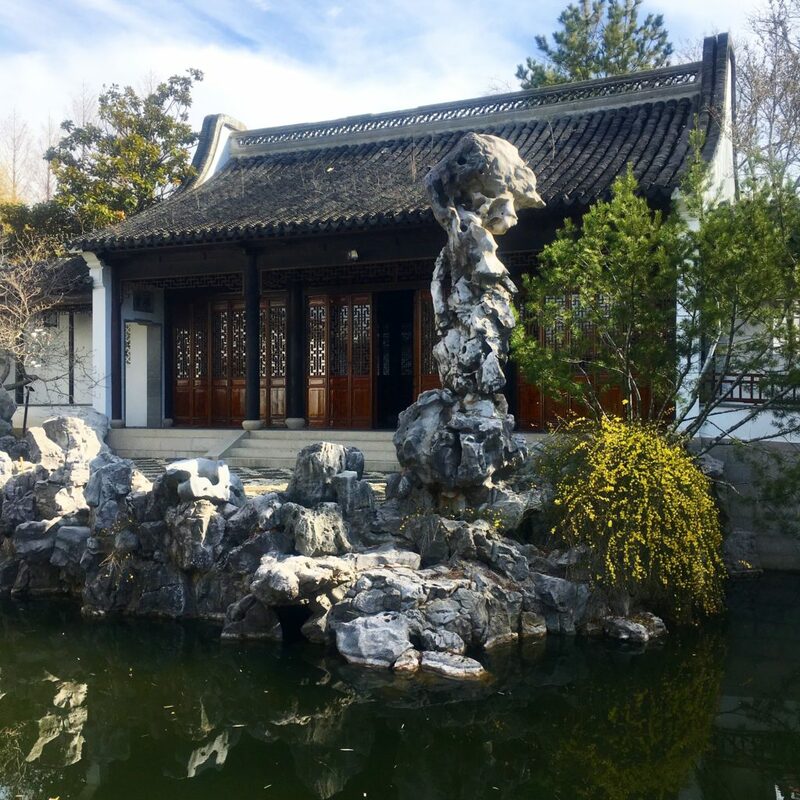 The New York Chinese Scholar’s Garden (NYCSG) is one of two authentic classical outdoor Chinese gardens built in the United States. The NYCSG is a compilation of different gardens in China. It is based on Ming Dynasty gardens (1368-1644 AD). All the architectural components of the NYCSG were fabricated in Suzhou, China, including roof and floor tiles, columns and beams, doors and windows, bridges and paving materials. 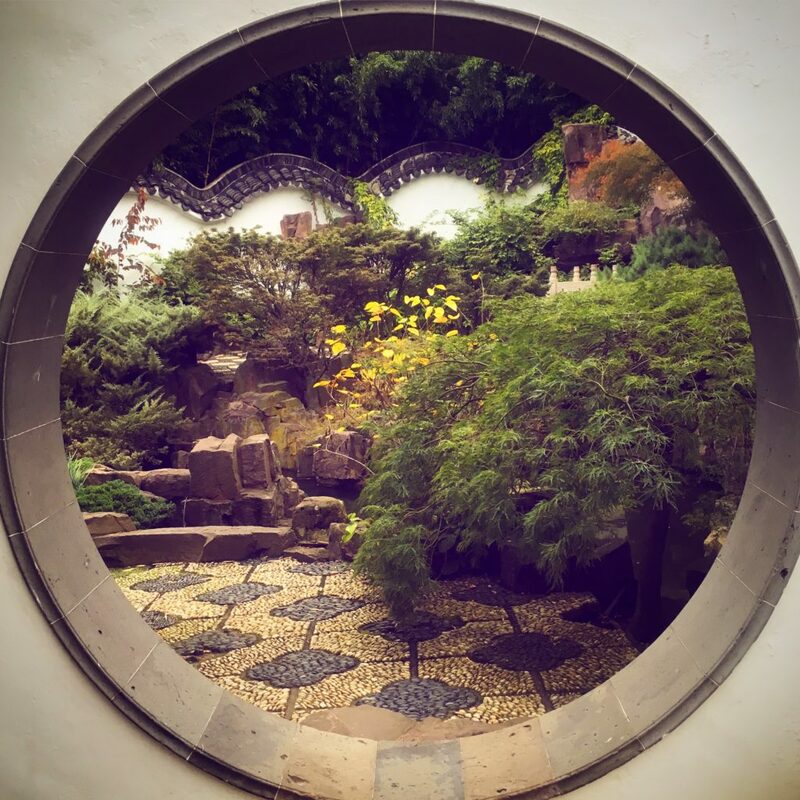 The garden features magnificent rocks resembling mountains that inspired the poetry and paintings of Confucian, Buddhist, and Taoist monks, as well as other scholars. 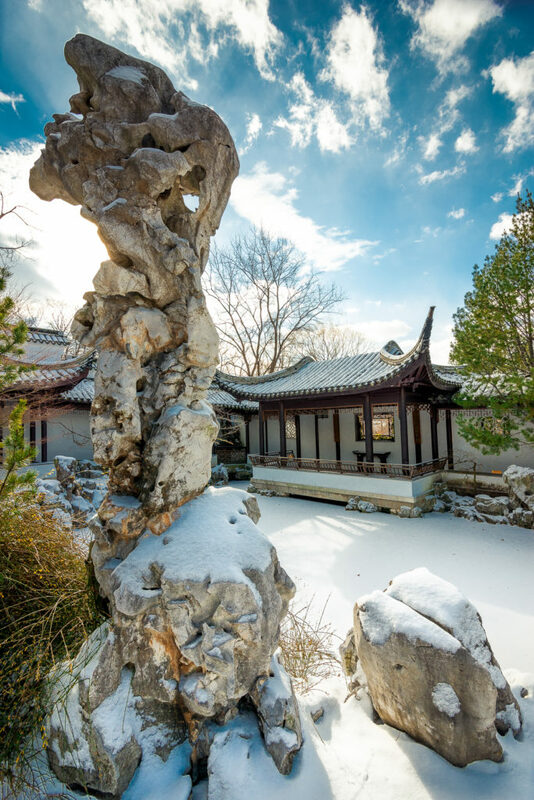 Visitors can explore eight pavilions, a bamboo forest path, waterfalls, a Koi-filled pond, Chinese calligraphy, and a variety of Ghongshi scholar’s rocks including a 15-foot formation that towers over the central courtyard. 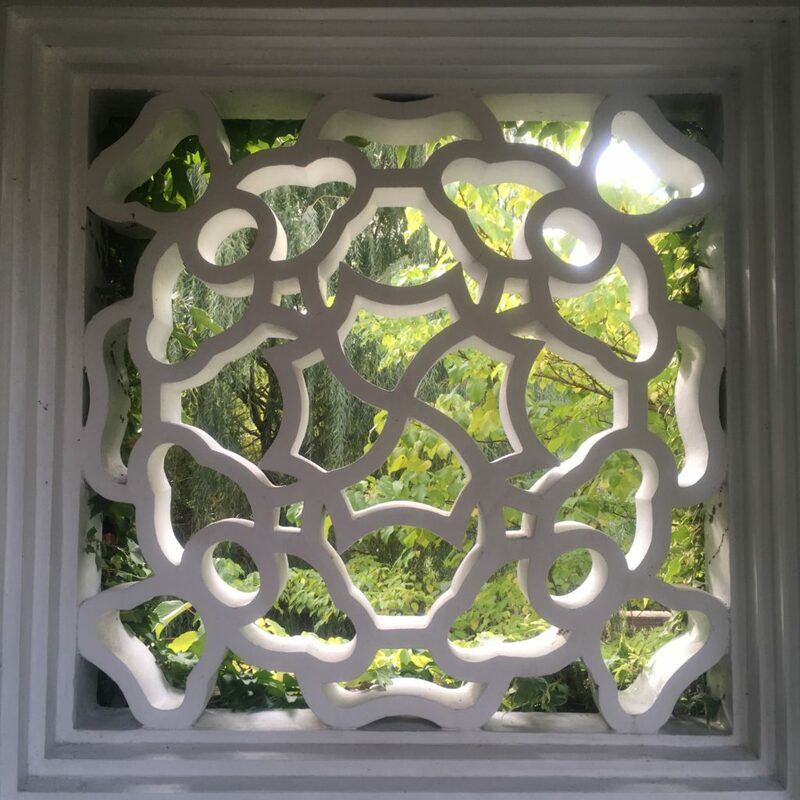 A team of 40 Chinese artists and craftspeople spent a year in China creating the Garden’s components and another six months in Staten Island as craftsmen-in-residence at Snug Harbor to complete the construction. 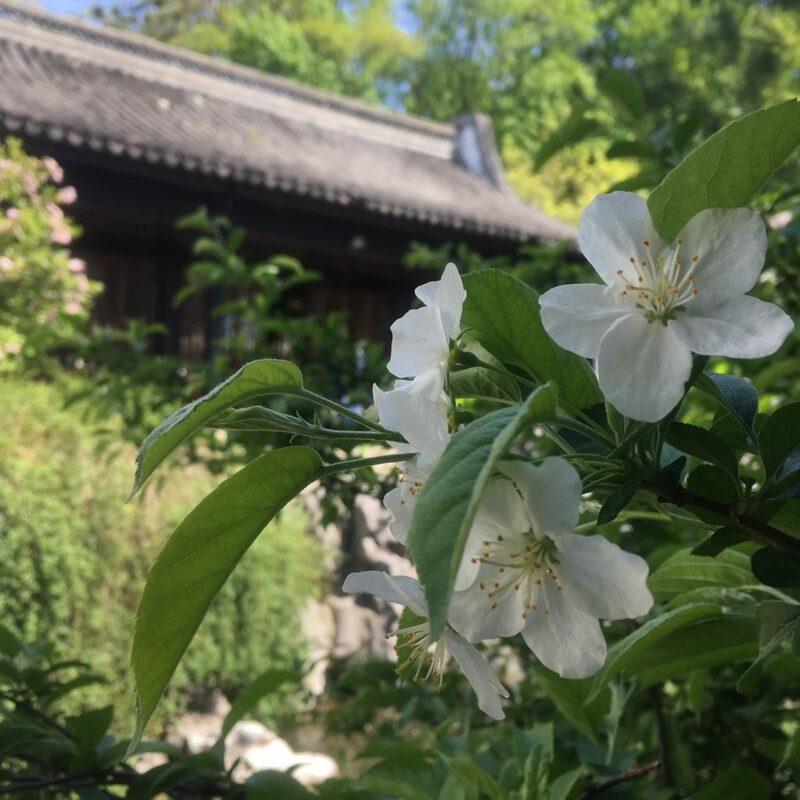 Snug Harbor partnered with the City of New York, the Landscape Architecture Company of China, the Metropolitan Chinese American Community and hundreds of volunteers to build the NYCSG, which opened in 1999. • No nails or glue were used in the garden’s construction. Rather, the wooden elements are joined together through a sophisticated mortise-and-tenon system characteristic of traditional Chinese construction. • Bridges and paths frequently zigzag, providing visitors with ever-changing vantages to experience the garden. Chinese philosophers also believed that zigzagging paths would throw off evil spirits. 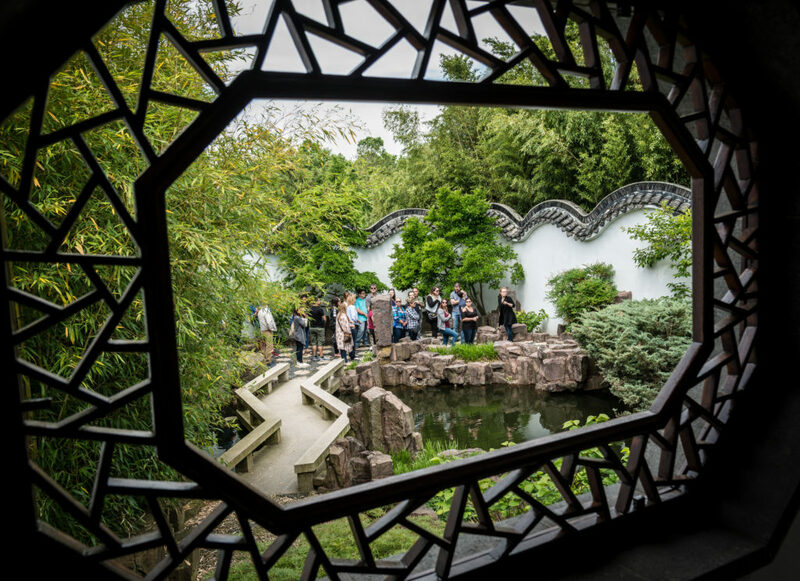 • The mosaic on the upper pavilion incorporates broken pieces of rice bowls, representing China, and broken beer bottles, representing America. The craftspeople wanted to incorporate both materials as a symbol of harmony and unity between the two nations. 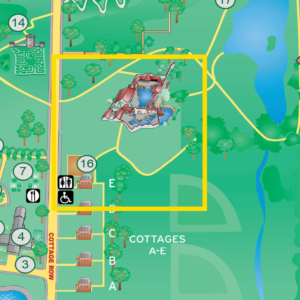 The NYCSG is located at the southwest corner of campus, near the Healing Garden and the Connie Gretz Secret Garden, with the entrance at Cottage E right across Cottage Row from Harbor Eats and the Carl Grillo Glass House. Enter via Cottage E on Cottage Row. The last admission into the garden is 30 mins before that day’s closure. $5 Adults, $4 Seniors/Students, and free for Snug Harbor Members and kids 5 and under. To book a class trip or group tour, visit Snug Harbor Education for details.